From Libertad, I was to continue my northbound journey to Buruanga, but surprise! 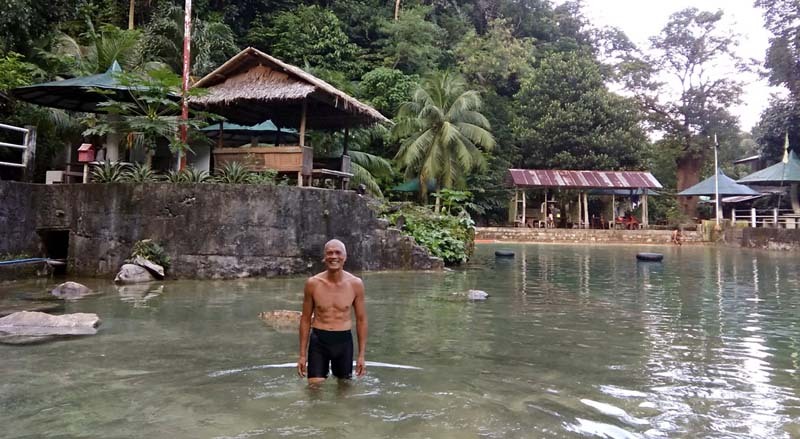 Even though there is a wide concrete road connecting Libertad to Buruanga, Malay up to Caticlan for Boracay (the logical route), there is no bus service. I would have to pay a more expensive motorcycle trip. That killed Buruanga for me. Hmmm, where do I go now? Go south instead to Barbaza and continue a southbound journey until Iloilo to meet up with Leslie (a friend with an open invite for Iloilo)? 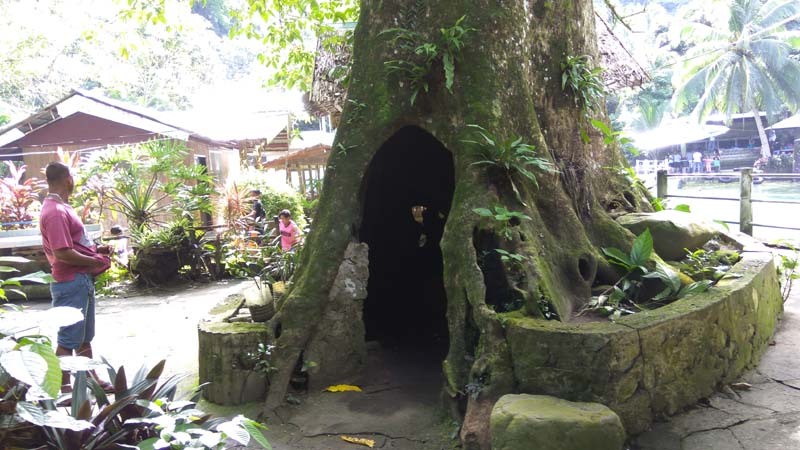 But locals told me Malumpati has a sister spring in Nabas, Aklan - Hurom Hurom Spring. 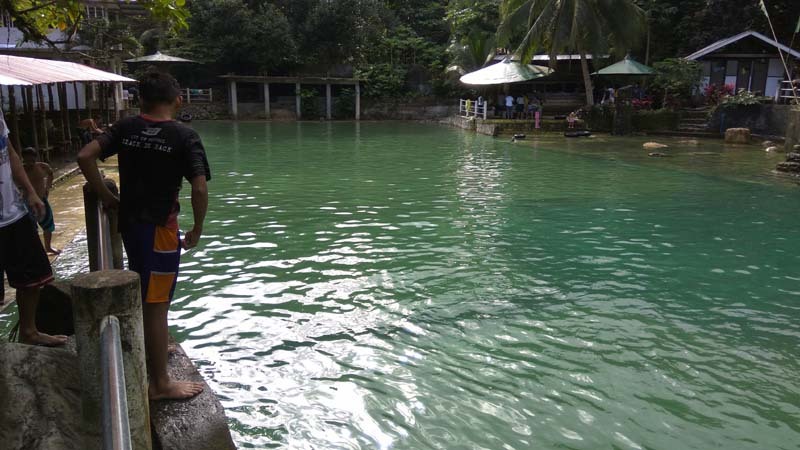 Since I was close to the Antique-Aklan boundary, I made the trip for Aklan instead. Alighting in Nabas, I stumbled into NBC Inn where the owner saw value in what I can do for the hotel on the internet. I needed a place to stay, and I ended up having a comfortable place to stay. The universe has always been kind, always looking after my well-being. My room is unpretentious but it's big enough to squeeze 5 beds with ample windows for cross-ventillation - I love the natural air-flow. It was a fairly long tricycle ride for just P20! We passed by 3 spring resorts before coming upon Hurom-Hurom. It was the last one where the road ended, just at the base of the mountain. Hurom-Hurom is the original and the biggest spring source. 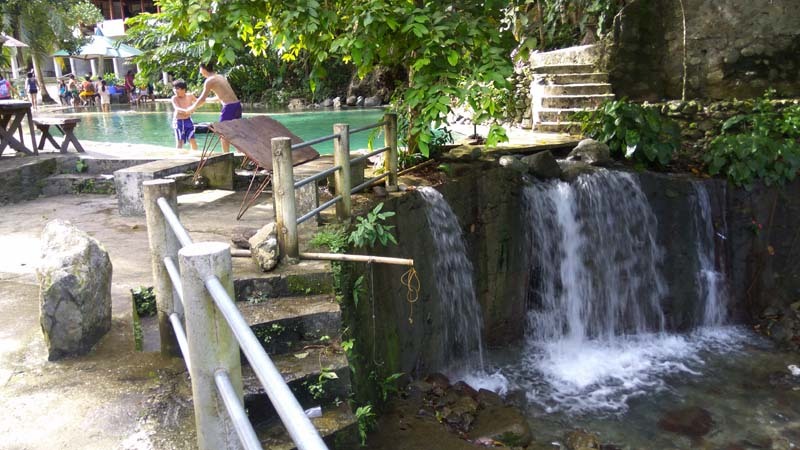 There were many pools sourced from the same spring. Some go deep to 7 feet while some are essentially wading pools. The water is refreshingly cold, but not super cold. I went where water was coming out of the rocks and drank as much as I could - I even bottled 1.5 liters of it! 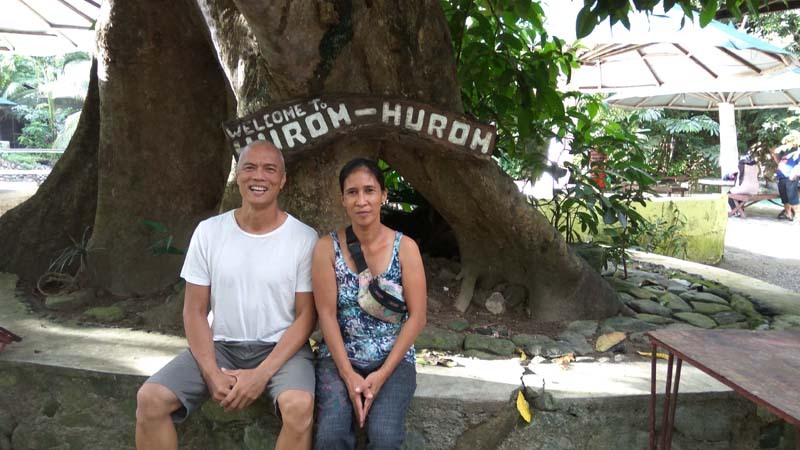 Hurom-Hurom is privately owned and run by a family. They have a small convenience store in the resort for drinks, snacks and barbeque. 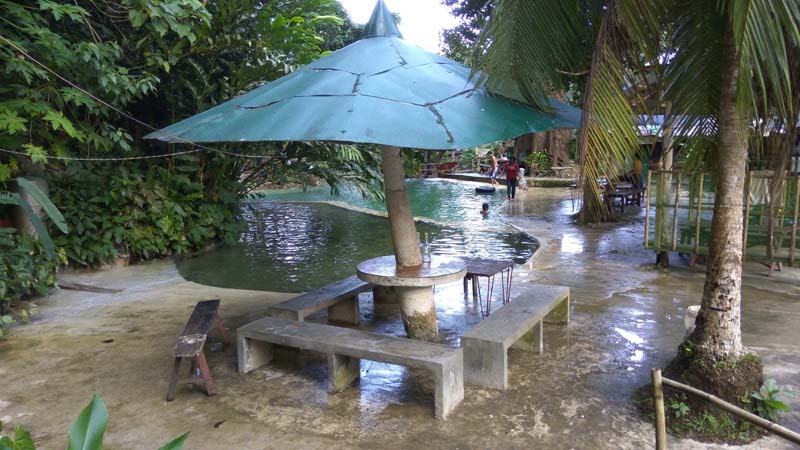 There are also picnic huts scattered around the pools which can be rented. Despite its increasing popularity, it remains spartan and simple for the locals to afford and appreciate. I enjoyed having a brief talk with sisters Pamela and Nina who gave me a candid backgrounder on the history of the spring and the current tourism issues. 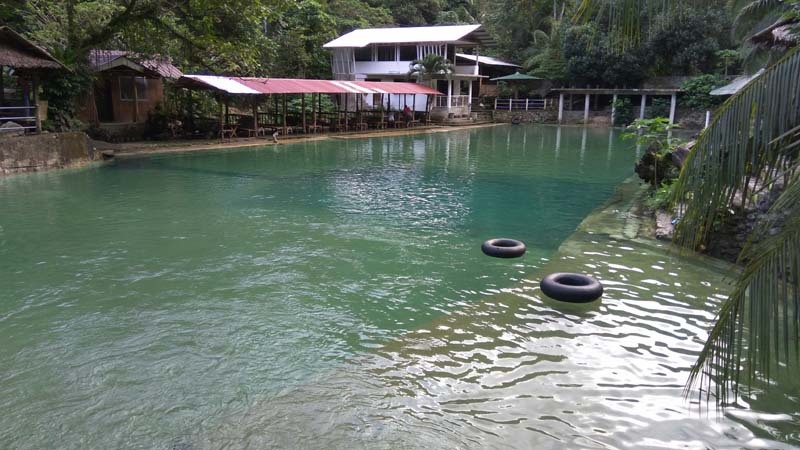 Unlike Malumpati where the source itself is left pristine with limited access, here at Hurom-Hurom, resort development was done on the spring itself. 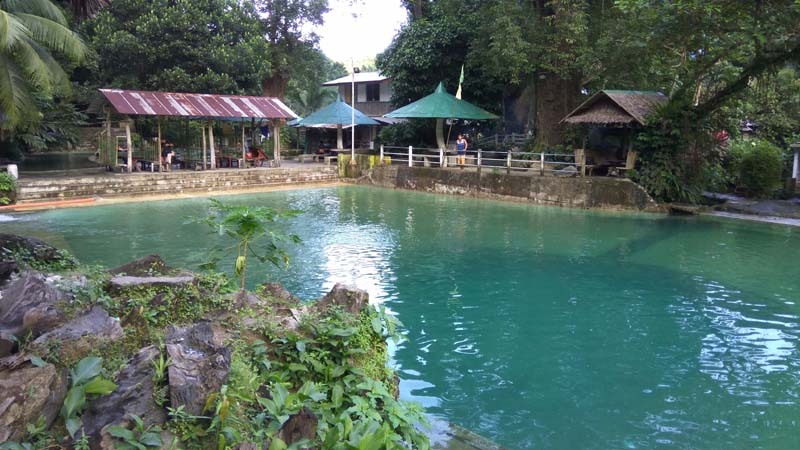 Water could be seen coming out of the rocks unlike Malumpati where you see the actual big hole the size of a basketball court that goes down 160 feet with so much water coming out of it, it spawned a river. 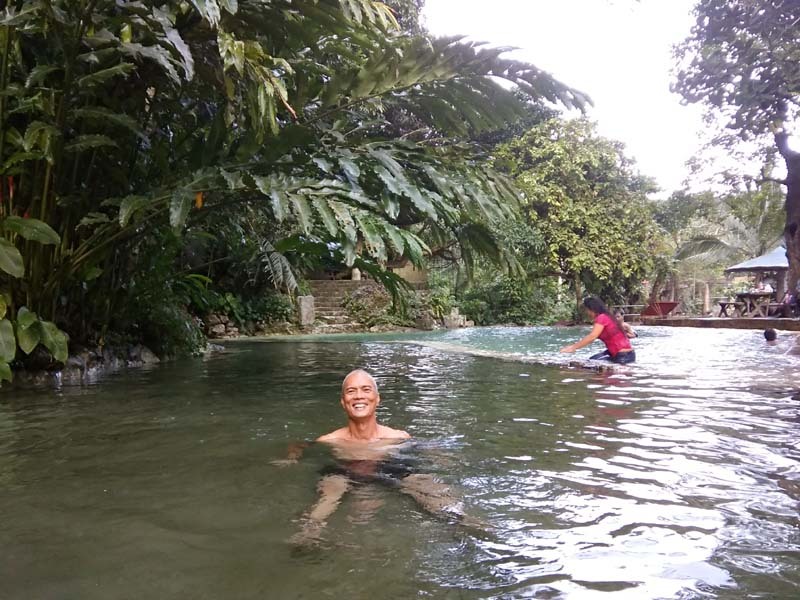 In Malumpati, you swim on the river spawned by the spring (not on the spring itself). 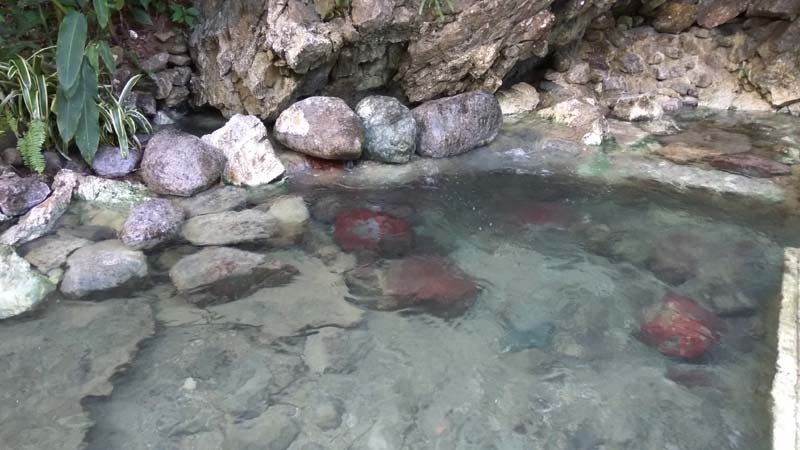 Hurom-Hurom has no hole in the ground but you can swim where water comes out of the rocks. I don't know what's with natural springs but they get me stoked. 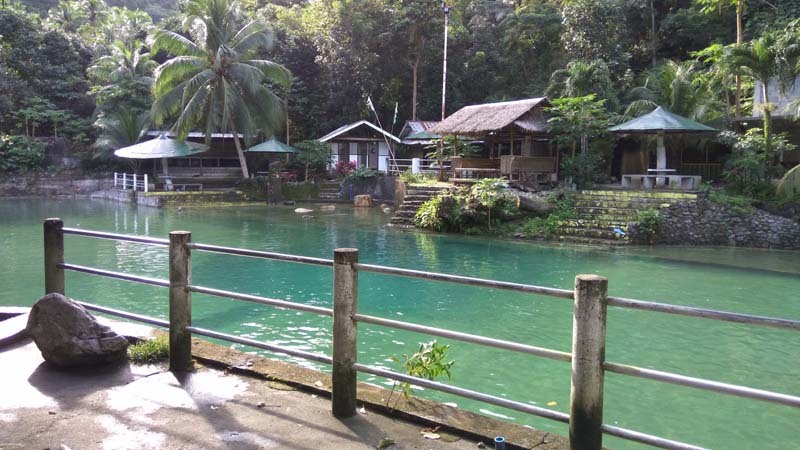 From Hinatuan's Enchanted River to Pandan's Malumpati Spring, I get my fix drinking from it - and bottling some to-go. In this day and age of bottled water and all these technological buzzwords that go with it - carbon filtering, distillation, reverse osmosis, etc., at the end of the day, what I'm looking for is good old fashioned mineral water coming out of a spring packed with all of nature's goodness. On the esoteric side, water is a very interesting phenomenon - the only matter present in 3 states (solid ice, liquid water and gaseous water vapor). It's the only thing in nature that expands when frozen with a tremendous pressure that can burst steal pipes (everything else contracts). By the time we drink water from a bottle or from a tap, it would have gone through a nightmarish ordeal, going through dirty pipes, contamination, filtration systems, etc. 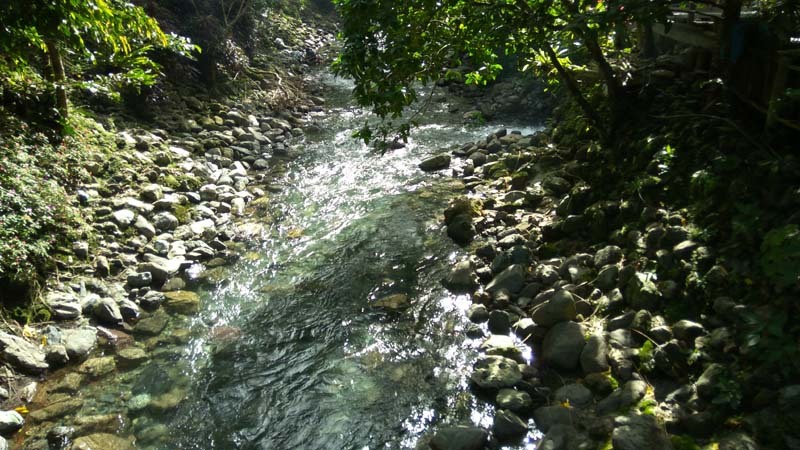 It is a rare occassion to drink water directly coming out of rocks or spring in all its vitality and purity. We are 80% water. If we are what we eat, we are also what we drink. 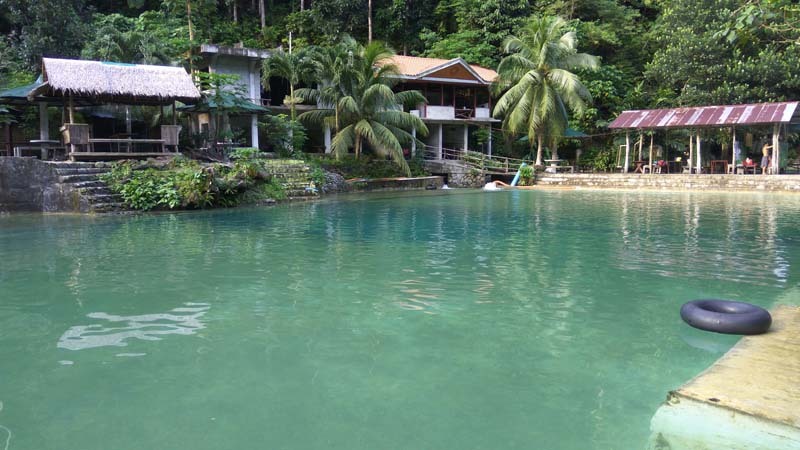 note: there are 4 cold spring resort now at Nabas within walking distance of one another. 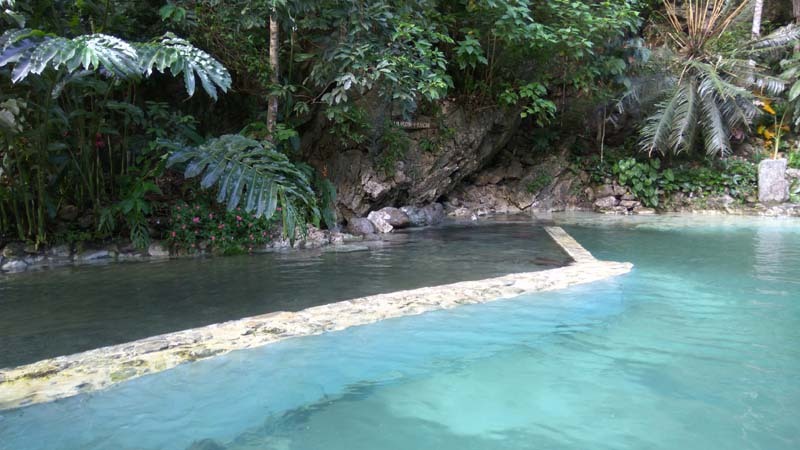 Hurom-Hurom Cold Springs is the original. It is a short bus ride from Caticlan. from Boracay - take the Ceres bus bound for Iloilo. Next town is already Nabas, 45 mins. from Iloilo - take the Ceres bus bound for Caticlan. It doen't matter if it's via Pandan or Capiz, it will pass through Nabas.